Tri-Trox SCUBA is fundraising for Lifesong United Methodist Church who is developing a Multipurpose Community Space. o Unsure if scuba is for you? Jump in the pool and give it a try! o NAUI Certification, which will allow you to be more adventurous and learn a new healthy activity! o Do you have your certification but it’s been a long time since you were in the water? Pot luck style Meet and Greet 8/16/09 at Blue Heron Bridge. 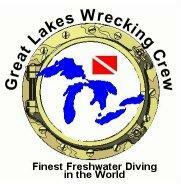 GLWC Meet and Greet at Gilboa Quarry April 23-25th!